A couple months ago when the calendar switched over to 2013, I shared some personal resolutions as well as some hair and skincare resolutions. Guess what... two months have now passed (as well as the hard-to-avoid-overeating time of Valentine's Day), so I'm looking back on those resolutions and asking you—have you been sticking to yours? I have a new post up on the Yes To blog—it focuses on motivation to keep on top of those resolutions, staying healthy, and being your best you! To read the post, click here! / / Visit the Yes To Carrots Facebook page to enter into their Girlfriends Getaway to win a trip for you & a friend to Miami! You can enter every day until March 24. Click here to like their page & enter! Good job, Kelly! Here's your chance to keep it up :) Rock on, sister! I loved your post! I (finally) got to the gym after reading this for the first time this week (terrible I know). 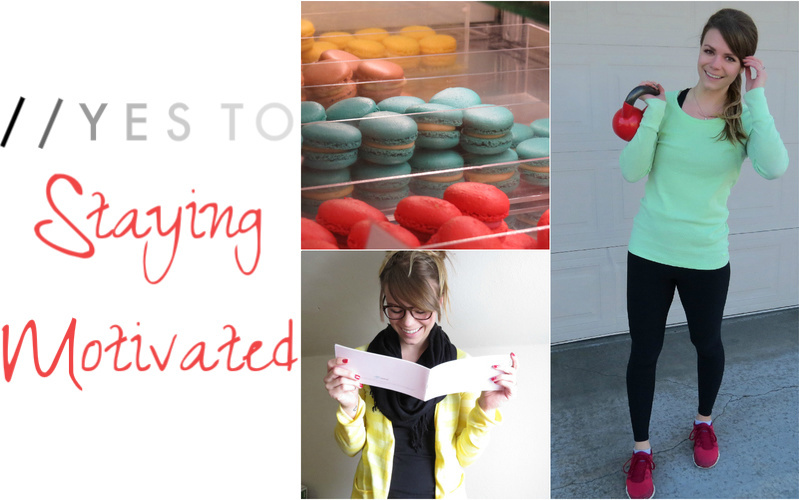 I've already got your article printed and highlighted on my workout inspiration board! Some resolutions I've been great at - others I've been slacking! I've been doing well with some of mine and have not touched others! Love your workout outfit girl!! Super cute! !